I have four or five different chili recipes I routinely use. Like the perfect pair of shoes, each recipe has just the right “chili attributes” for different occasions. A reliable weeknight chili recipe that takes less than thirty minutes to prepare reminds me of my beloved J Crew flip-flops, always conveniently located and ready to slip on. My cute collegiate loafers remind me of the five-way Cincinnati chili-mac recipe I use for tailgating at football games. I have a rather sophisticated chili recipe made with braised prime rib and exotic spices which reminds me of my sleek kitten heel pumps. Today’s chili reminds me of my broken in, all scuffed up, wear all day leather riding boots. My boots make me feel all snugly and warm and are so comfortable I forget I have them on. Like being home. 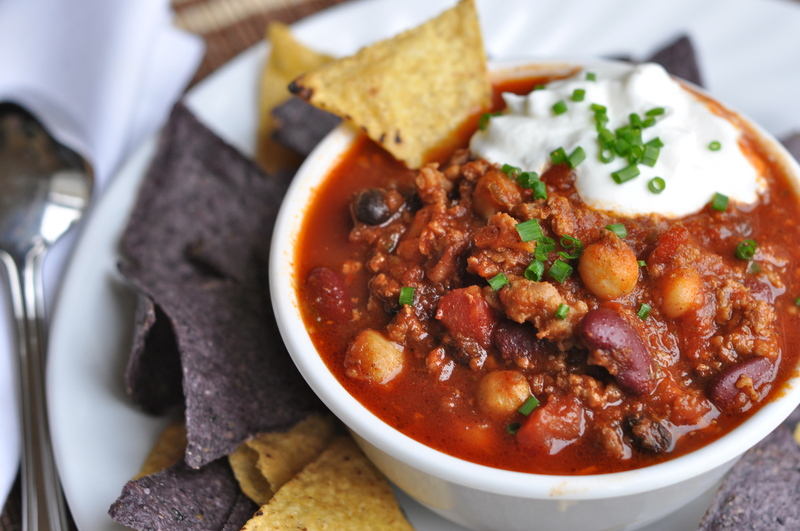 This chili is for crisp, fall harvest Saturdays. The kind of day where you don’t mind investing a few extra minutes cooking, knowing the reward will be a dish with a nuanced and layered depth of flavor. Once assembled, put the pot of chili on the back burner and let it gently bubble away while you are out at the kid’s football games, hiking in the woods or grabbing a pumpkin at the farmer’s market. It will fill the house with the most enticing aromas while you are away. It makes enough for a big crowd and tastes great served with a dollop of sour cream and crispy tortilla chips. Serving condiments such as shredded sharp cheddar cheese, sour cream, diced avocado, diced onion, fresh cilantro and warm tortilla chips. 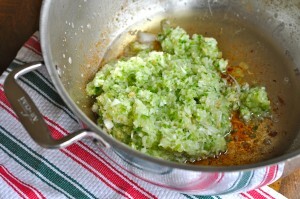 Add the diced onion, jalapeno and garlic to the 2-3 TBSP bacon fat. Saute over medium heat, stirring occasionally until the onions are soft and translucent, about ten minutes. Toasting the dried spices helps unleash their maximum depth of flavor. 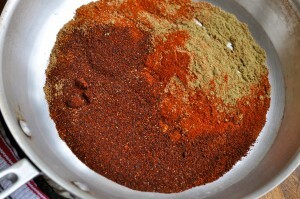 Place the cumin, paprika, chili powder and cayenne in a dry skillet and toast over medium low heat for two minutes. Be sure to swirl the pan continuously so the spices do not burn. Add the fragrant toasted spices to the vegetable mixture. Add the cans tomato purée, oregano and beef broth. Bring to a boil, reduce to a simmer and cook for 30 minutes. Meanwhile in a separate pan sauté the beef and hot Italian sausage together, breaking it apart with the back of a wooden spoon. 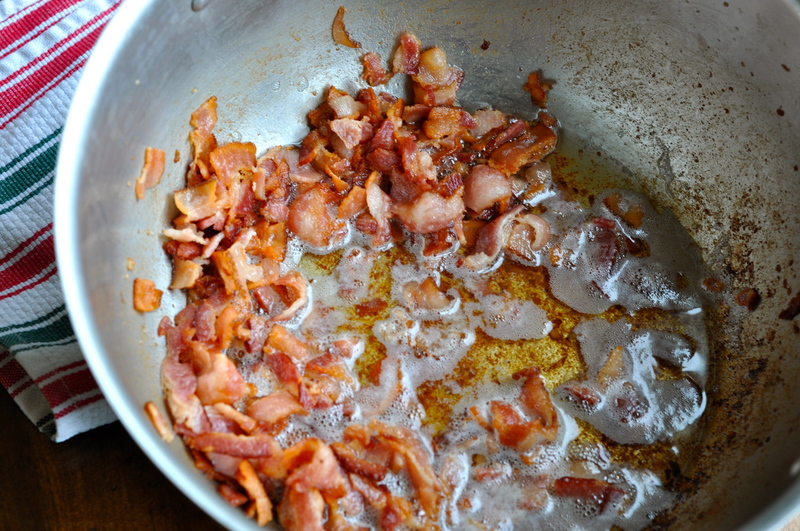 Cook until crumbly and brown. Drain off excess fat. 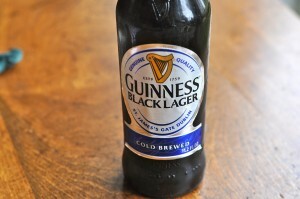 Pour the dark beer into the meat to de-glaze. Add the meat mixture, rinsed beans and cooked bacon to the chili. Simmer on extremely low heat for an hour or two. If the mixture gets too thick, thin it by adding extra beer, beef stock or water. Adjusted any seasoning to taste. Spoon into crocks and serve piping hot with the condiments. Enjoy! 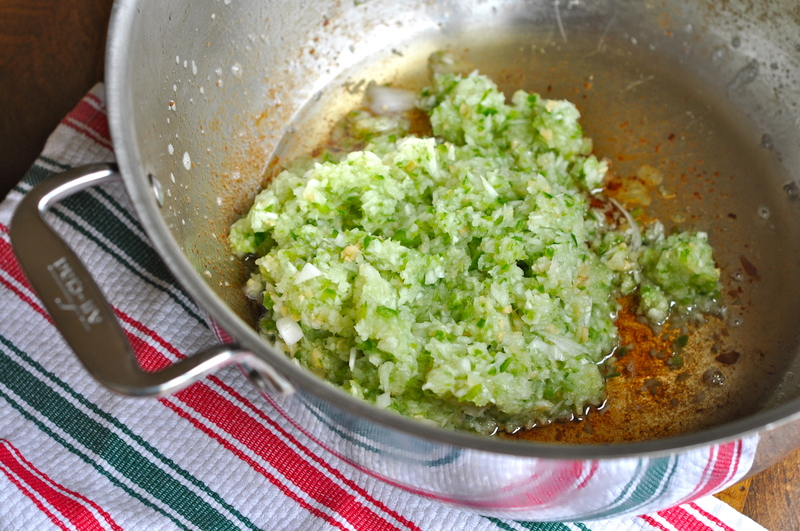 Add the diced onion, jalapeno and garlic to the saved bacon fat. Saute over medium heat, stirring occasionally until the onions are soft and translucent, about ten minutes. 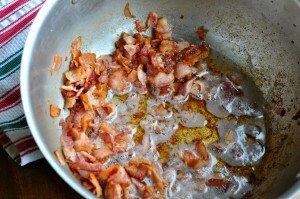 Drain off the remaining bacon fat. 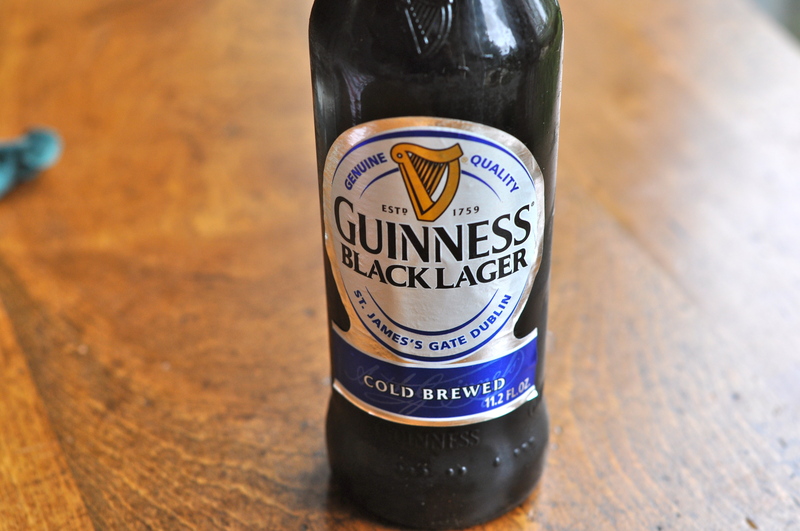 Pour the dark beer into the meat to de-glaze. 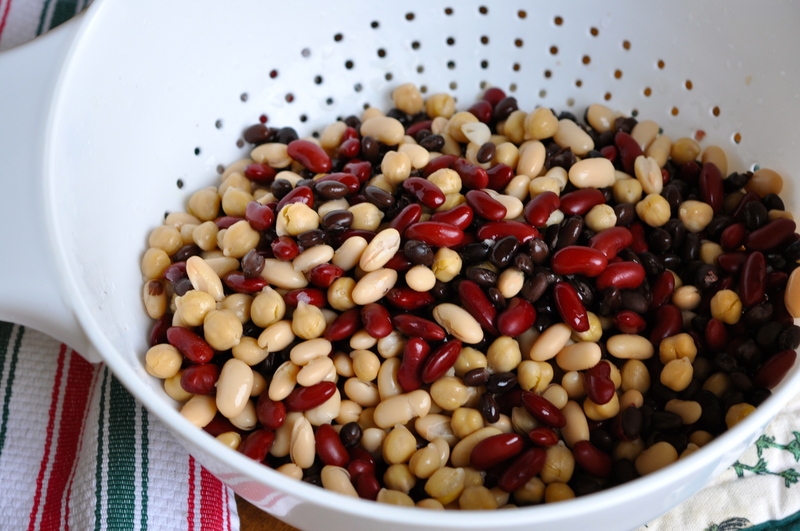 Add the meat mixture, rinsed beans and cooked bacon to the chili. Simmer on extremely low heat for an hour or two. 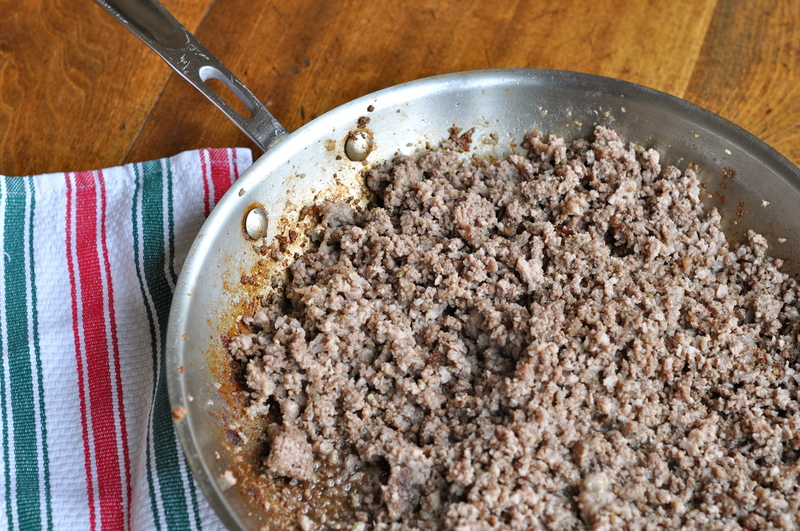 If the mixture gets too thick, thin it by adding extra beer, beef stock or water. Adjusted any seasoning to taste. Spoon into crocks and serve piping hot with the condiments. You know, I’ve never made chili with such a variety of beans. I will definitely have to try this–maybe in December! just in time for a chili cookoff i entered next week… now I just have to decide if I’ll do this or my white chicken chili… hmm!